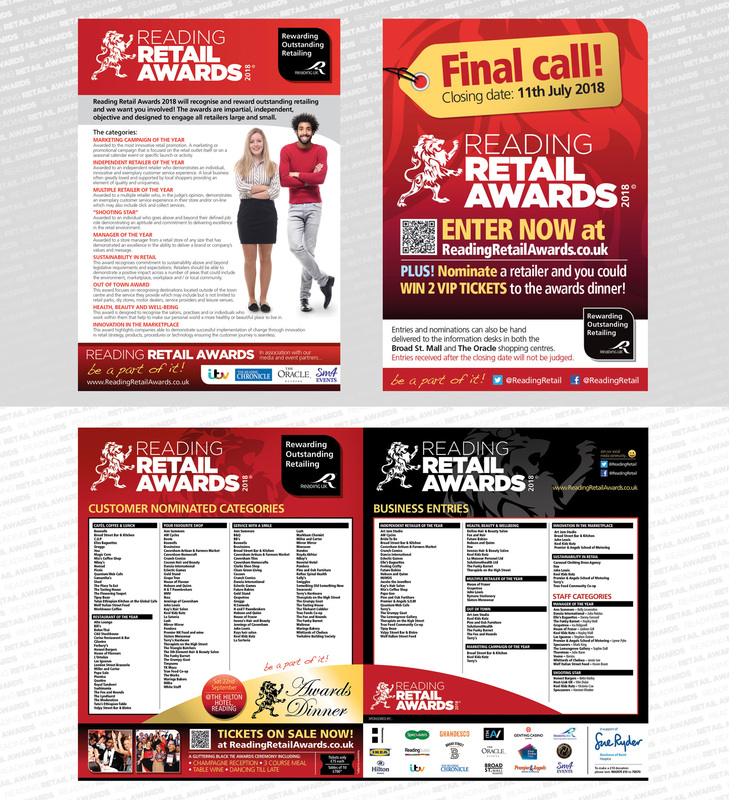 Since 2015 I have been working annually with this independent events company on creative design for the Reading Retail Awards, which celebrates its 10th anniversary in 2019. 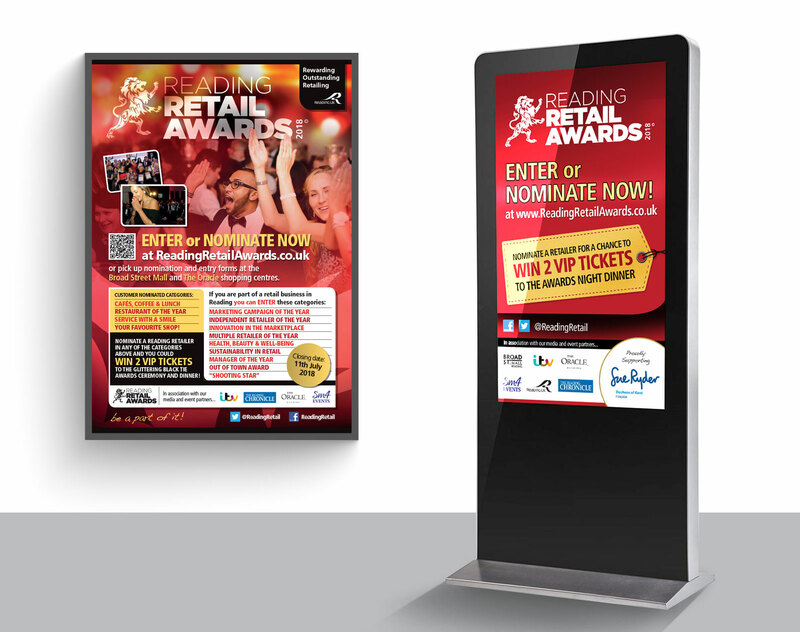 From initial launch campaign to the awards night itself I produce a range of print collateral and screen assets, including press ads, posters, programme design, entry forms, table plans, certificates and more. 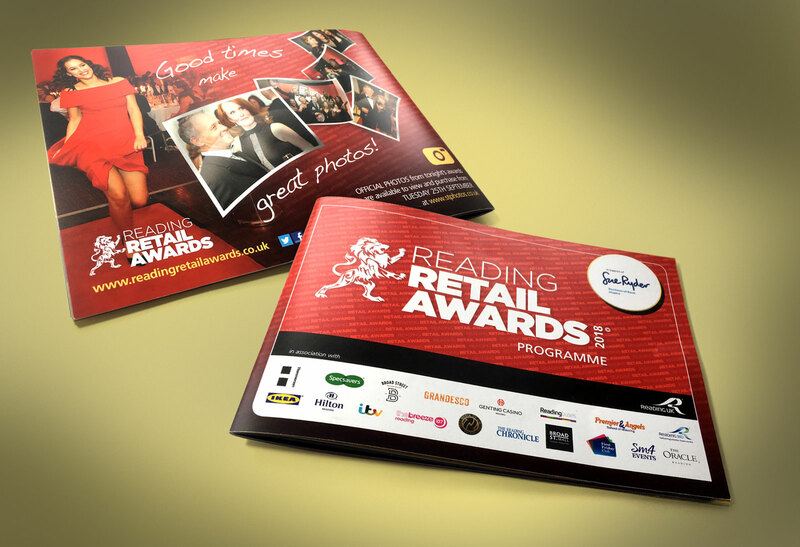 Here's a selection of my recent work on this event.